I got a free adult ticket to the NFL Experience from my LCS (Thank you AZ Sports Cards and Panini!) so I took my two oldest boys and we went yesterday. It was supposed to open at 3 pm, but we got in a little before that. We didn't leave until 9:30 pm, so it was a long day, but we had a lot of fun and my Wallet Card tagged along. The first thing we did was get a hand off from AZ Cardinals QB Drew Stanton and run an through an obstacle course. Here is Drew posing with my boys. Lots of Patriots and Seahawks stuff there! I personally hope it ends in a 0-0 tie. 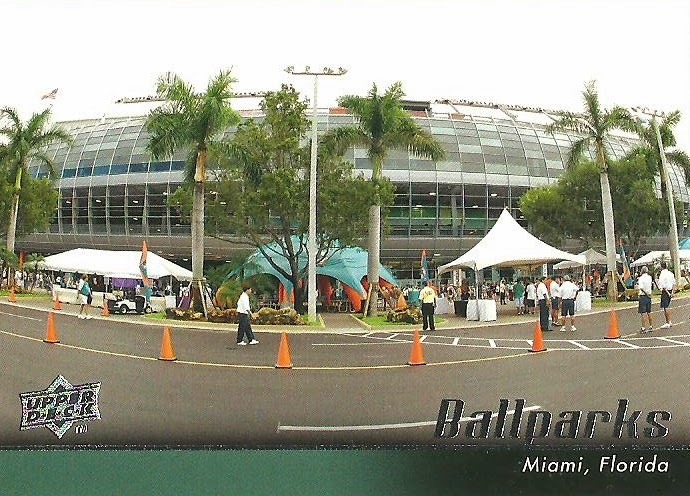 Topps and Panini each had a both and sponsored the autograph stage. 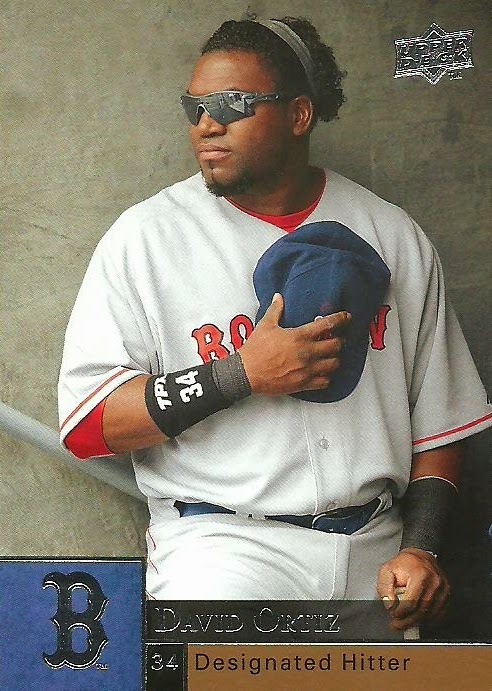 Topps had a thing where you could put on a jersey and they would take a picture and make a card for you. Not an actual card, but you get the idea. We only got two autographs. Here is AZ Cardinals Wide Receiver John Brown signing a card for us. 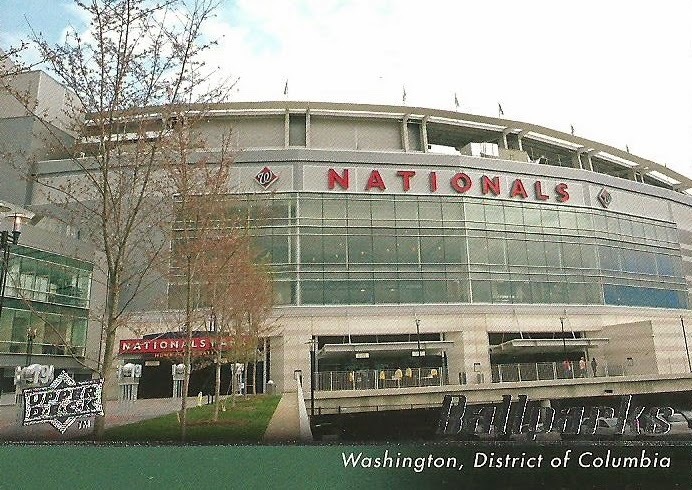 I pulled out my Wallet Card to snap a quick picture. The woman to John's right asked if I wanted him to sign the card and I just told her that it was for something else. Brown was nice though. This is Denver Broncos cornerback Chris Harris Jr. You could tell he did want to be there. The last thing we did before leaving was take a quick picture with the Lombardi Trophy. The Wallet Card joined us. We waited in line for about 30 minutes or so. 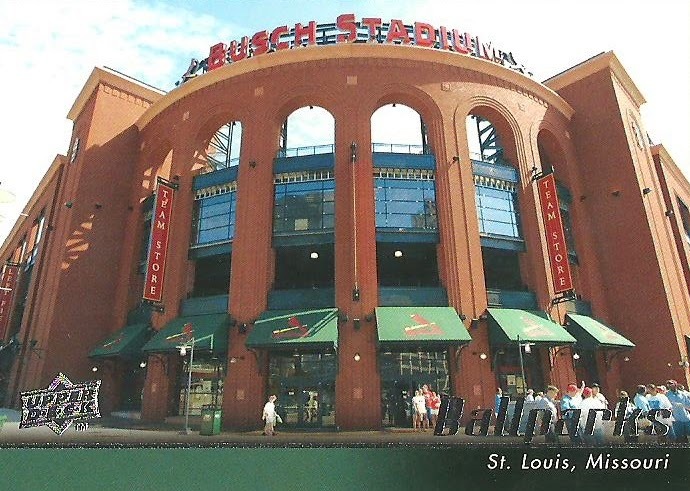 The ushers said that it had been up to a 3 hour wait earlier in the day. We had a great time, but were all exhausted after 7 hours! I got a package in yesterday from Topps. 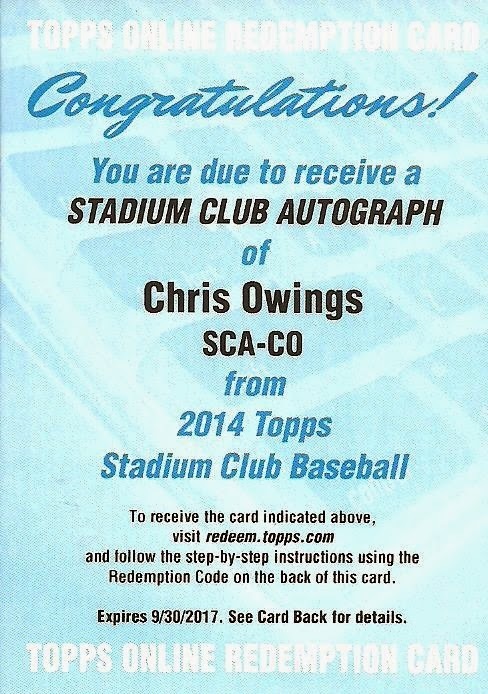 It was a redemption for a 2014 Topps Stadium Club Chris Owings auto. 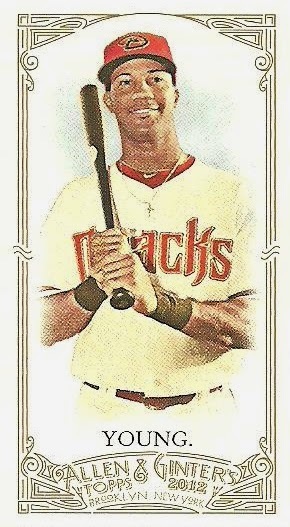 I got the redemption card from Shoebox Legends earlier this month, so Topps was quick with this one. 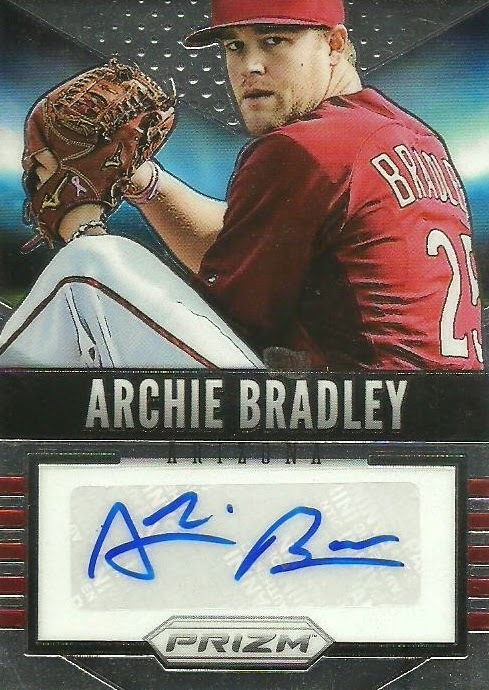 It's a great looking card with an on-card autograph of an up and coming player for my favorite team! It doesn't get much better than that! Thanks again Shane! My Wallet Card joined my family and I today at Sam's Club for a Super Bowl promotion with Arizona Cardinals running back Andre Ellington. 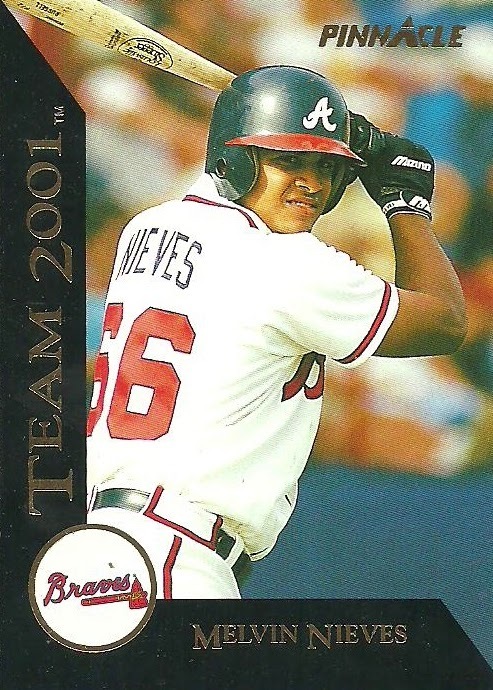 It was also good to see Moe from the blog My 2008 Topps Set Blog! 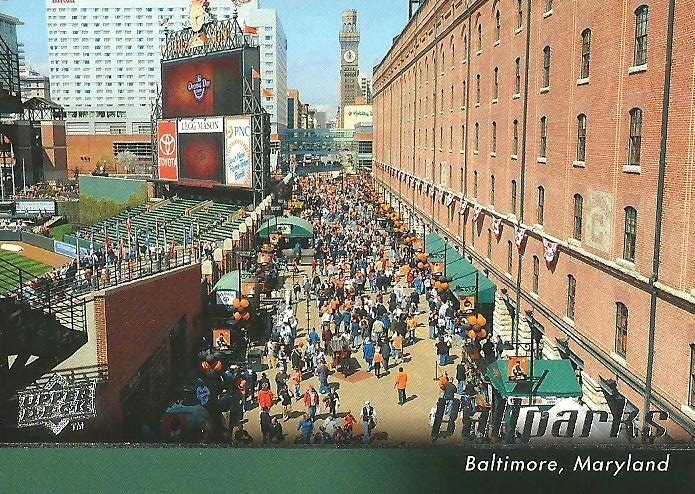 Here is my Wallet Card with my boys and I and Fizzy, the Pepsi mascot. The Wallet Card joined my family and I in a huge blow up chair. And finally, my Wallet Card joined us in a photo op with Andre Ellington. 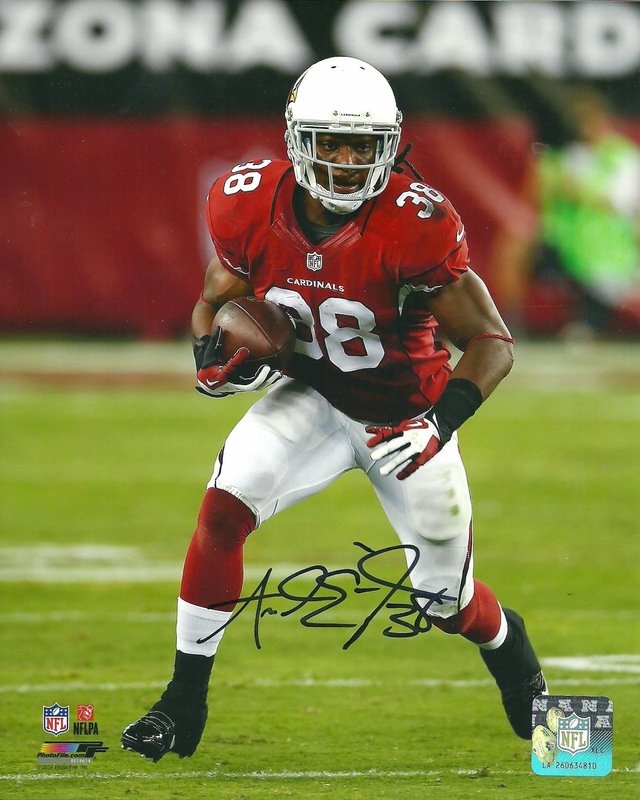 Here is the 8 x 10 that Andre Ellington signed for us. I struggled to find a good title for this post and I'm not sure I found it. I thought about calling it "The Timeline" or "The Process", but nothing seemed to capture exactly what I was looking for. So I went with "Is it too much?" 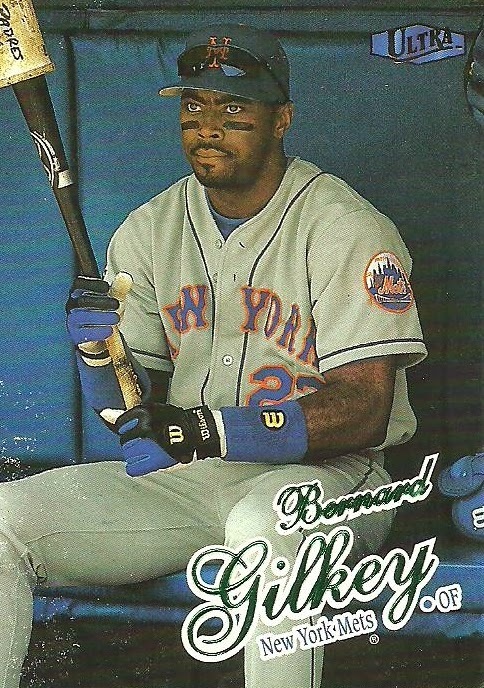 Yesterday I got an envelope in the mail with a baseball card in it. A single card. 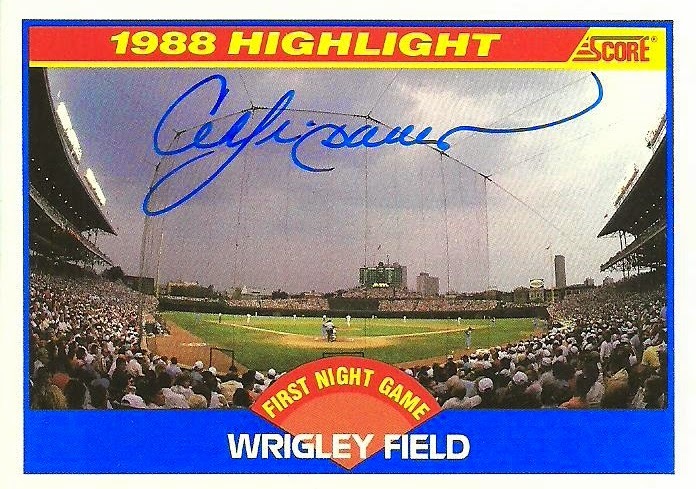 it was a ttm (through the mail) autograph of Hall of Famer Andre Dawson for my First Night Game at Wrigley Field Project. 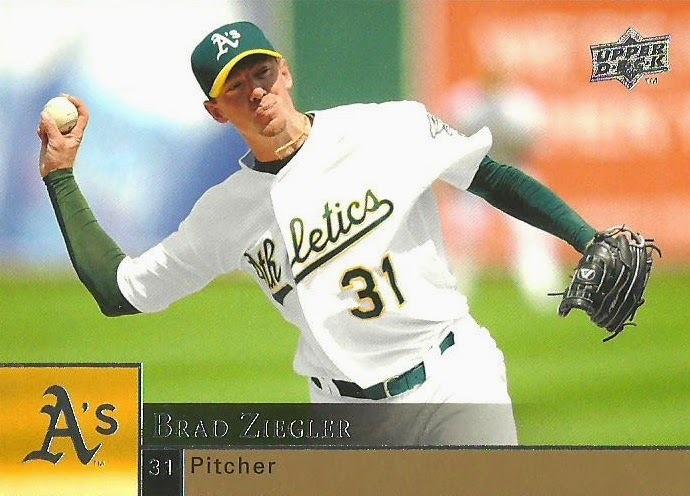 It's a great looking card and I am really excited to add it to my collection! 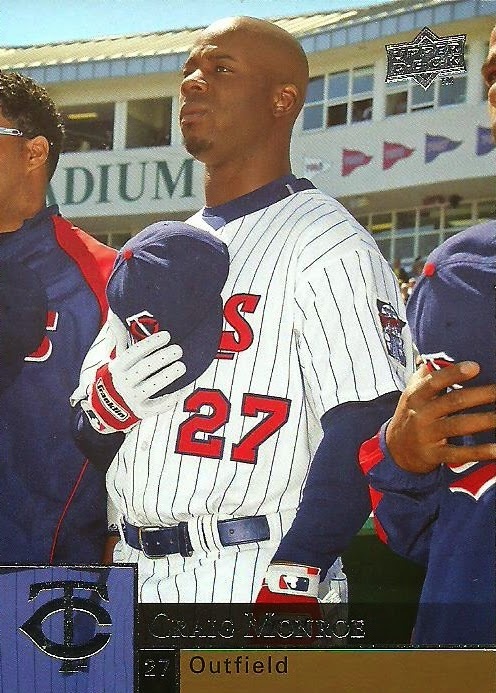 I posted about the card yesterday, so why am I talking about it again today? Well, I wanted to go through my timeline with the card and ask the question; Is it too much? So, after getting the envelope from the mailbox yesterday I came home and turned on the computer so I could make a YouTube video of me opening my SAFE (self addressed stamped envelope). Then I scanned the card so I could do a blog post, which you can find by clicking here or you can just scroll down to the post below. 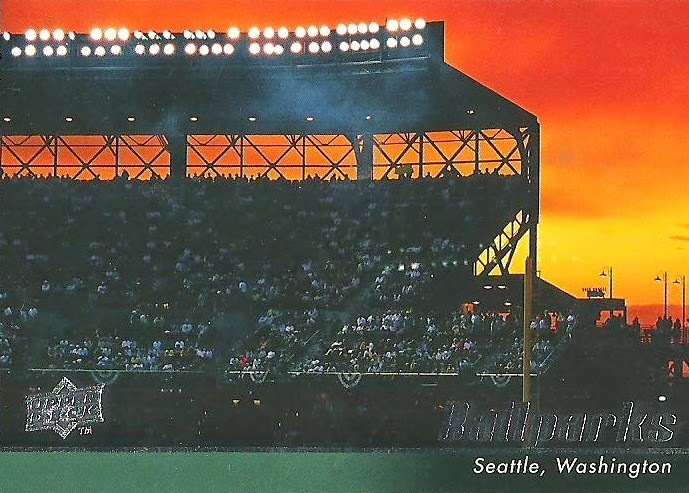 Then I had to update my First Night Game at Wrigley Field Project post. Next, I posted about the ttm success on Twitter. 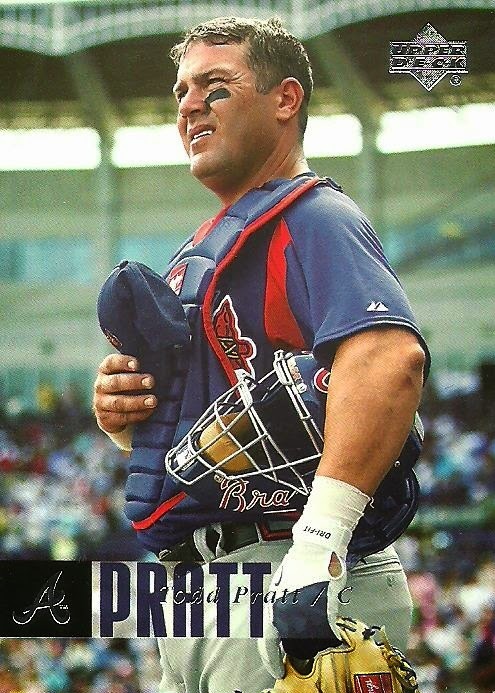 And finally, since it was an autograph I posted in a Facebook group that I'm part of called Baseball Autographs. I enjoy each of these social media outlets, but I felt compelled to post about this card in every single one and it just got me thinking. Is this too much? I'd appreciate your thoughts on this, especially if you yourself have had similar thoughts. Thanks! I sent out a ttm request to Andre Dawson earlier this month and got it back today. 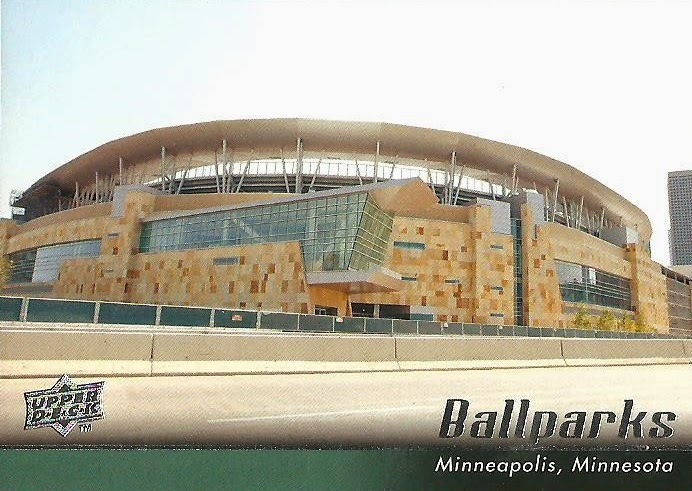 The card I sent was for my First Night Game at Wrigley Field Project. 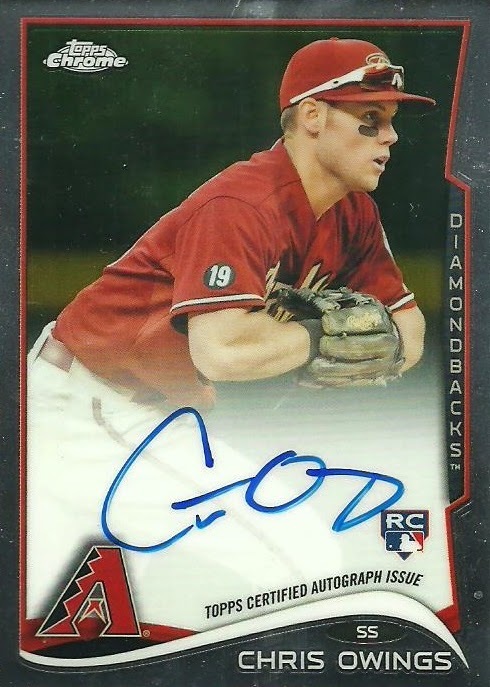 Shane, of the blog Shoebox Legends, recently opened a box of 2014 Stadium Club and he pulled a redemption card for a Chris Owings autograph. He was a little disappointed, so I tried to console him by telling him how good Owings will be for the D-Backs this year. 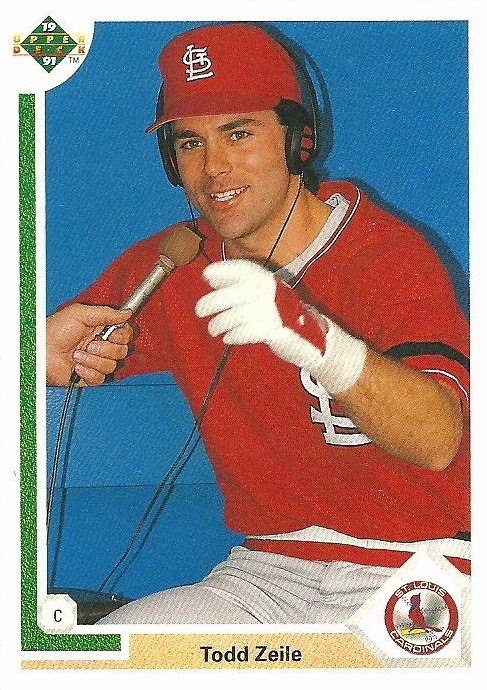 Shane must not have believed me because he offered me the card. 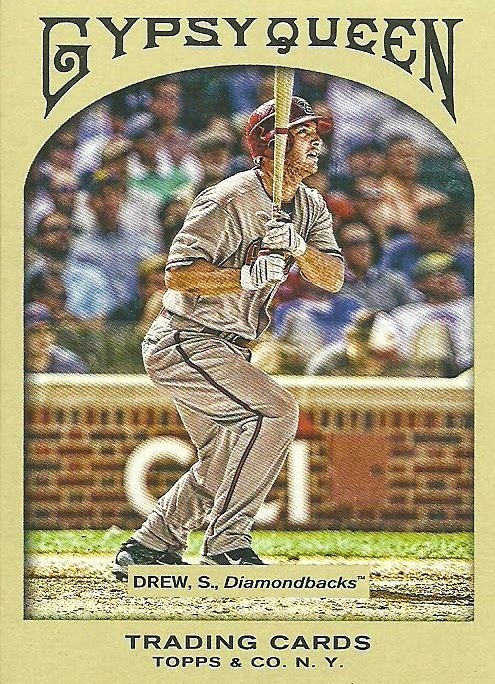 All kidding aside, I think Owings will have a decent year and start this year at shortstop for the D-Backs now that Didi Gregorious is gone. 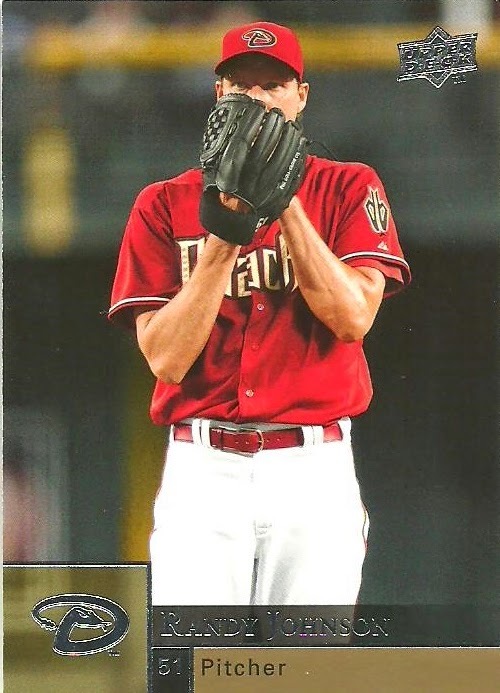 Shane sent me the redemption card and included a bunch of other great D-Backs cards as well as a pack of 1991 Stadium Club Hockey and 1993 Pinnacle Baseball where I pulled a JETER RC!!! Thanks Shane! 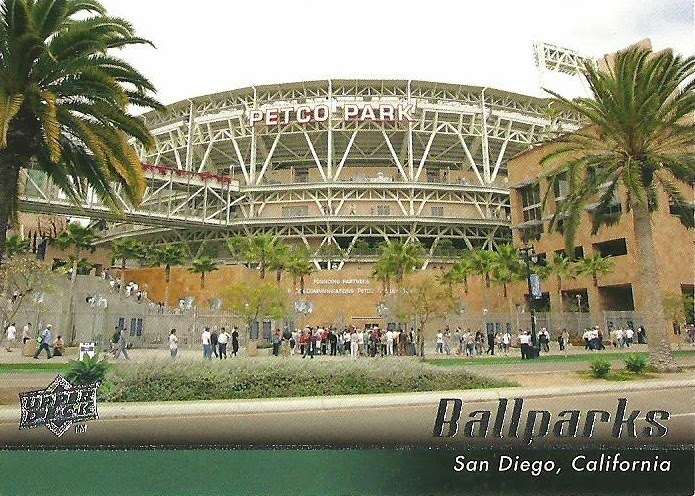 Here is the Redemption Card. 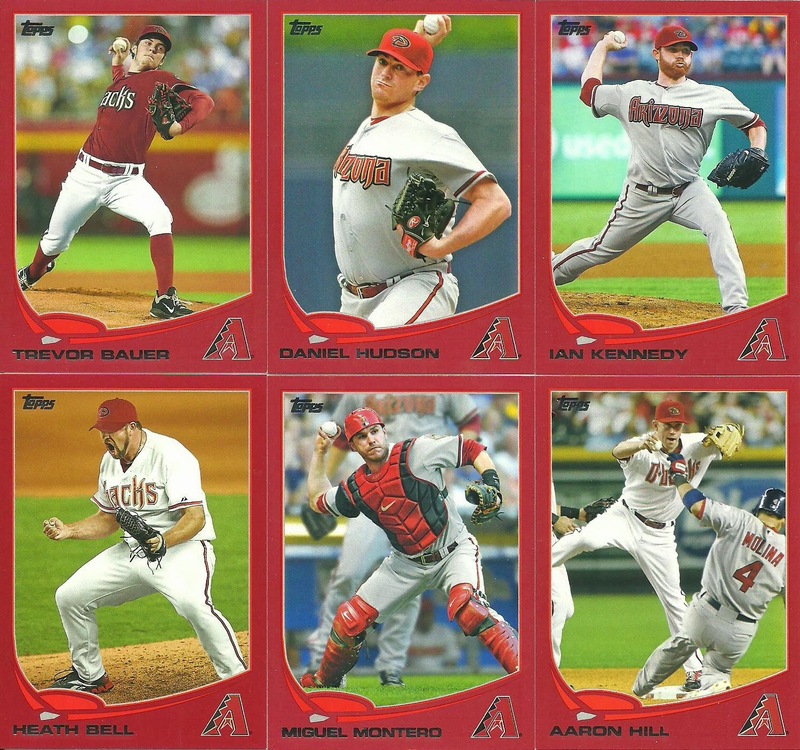 Love these Target Red parallels of the D-Backs! 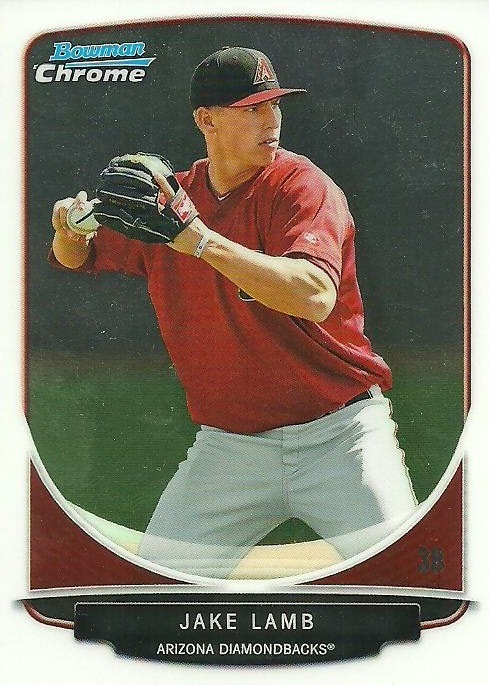 Lots of other great cards of past and present D-Backs! 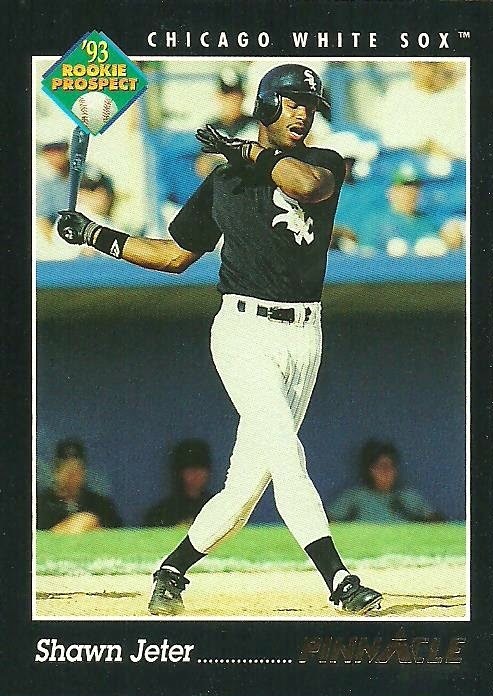 Alright, so here is the Jeter RC from the 1993 Pinnacle pack! 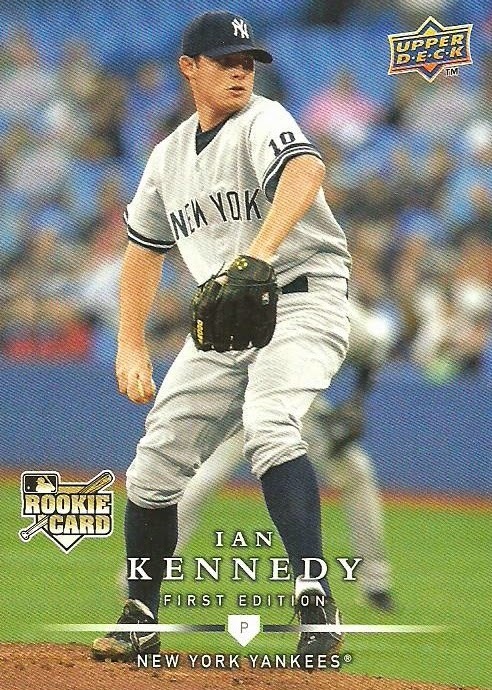 It may not have been the Jeter that most of you were thinking, but it was a pretty good pack. 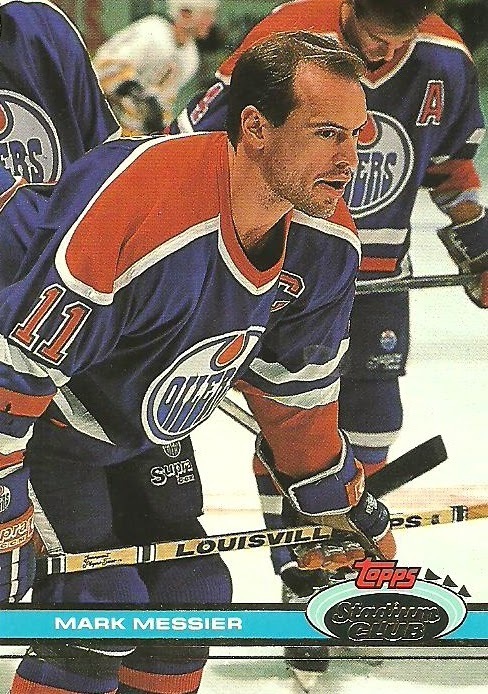 The 1991 Stadium Club hockey pack only had one name I recognized, but it was a good one. YouTuber and blog reader, Nathaniel Go sent me a message saying he was going to send me come cards. I got a package from him on Saturday and was blown away with his generosity! Thank you so much Nathaniel! There were 5 giant team bags filled with cardboard goodness! Here is just a sampling of what he sent! 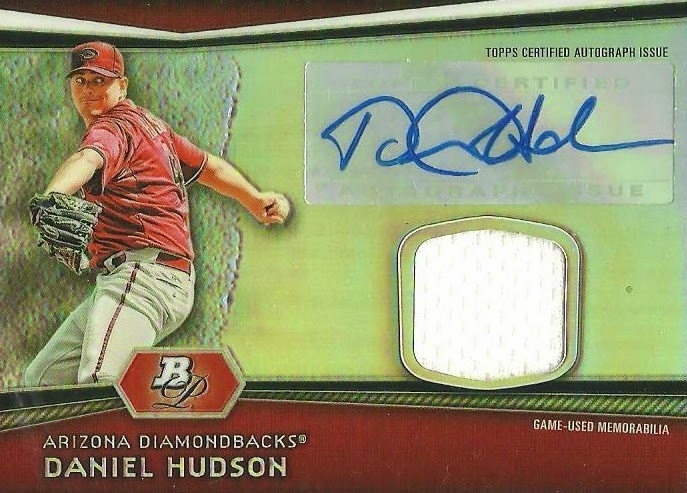 Tons of great D-Backs cards! 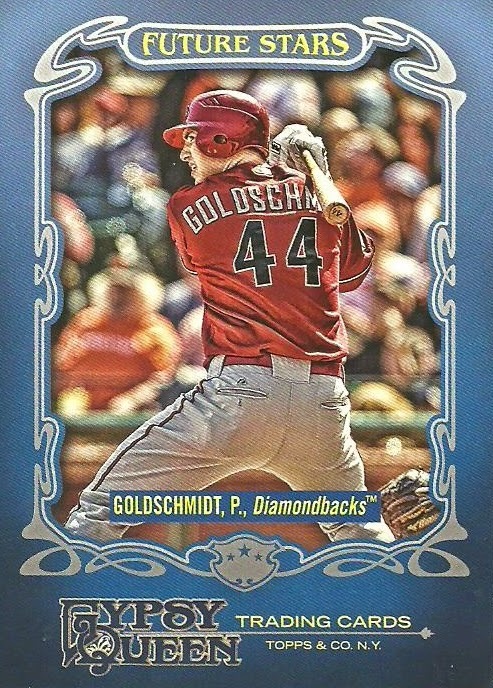 Here are a couple of Goldschmidt cards featuring his front and back. 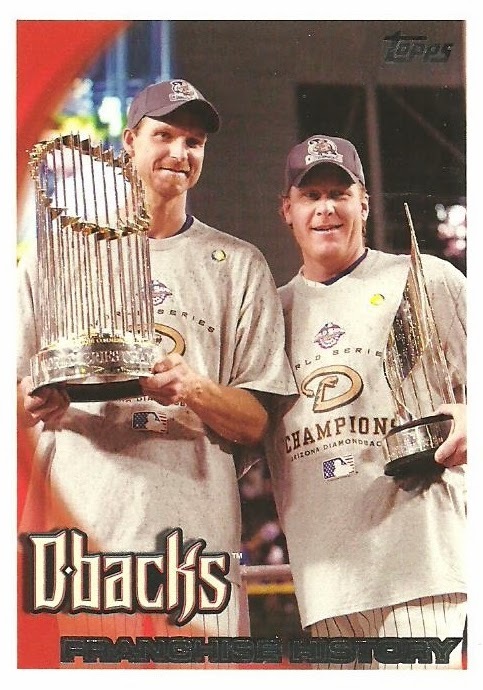 Love this card of Randy Johnson! 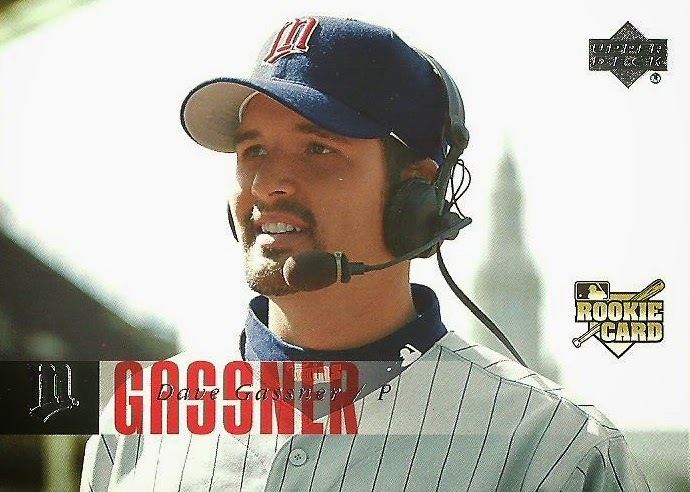 So happy that he's going into the Hall with a D-Backs cap! 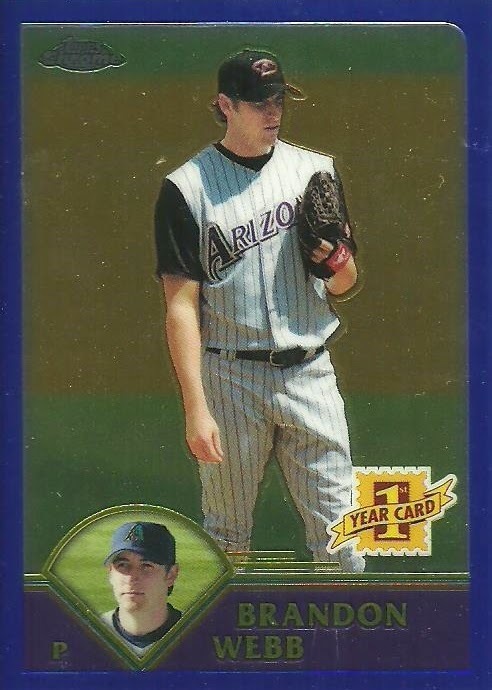 Here's a card of current free agent Max Scherzer. 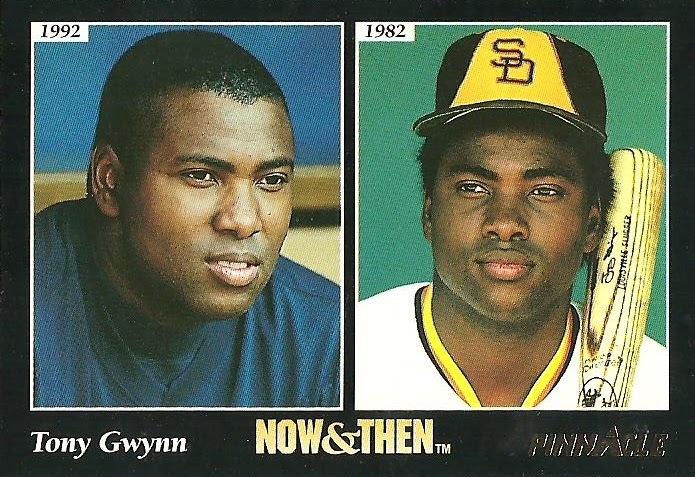 The former Cy Young Award winner has heterochromia iridum which means that his eyes are two different colors. I will never be able to get enough of these cards! 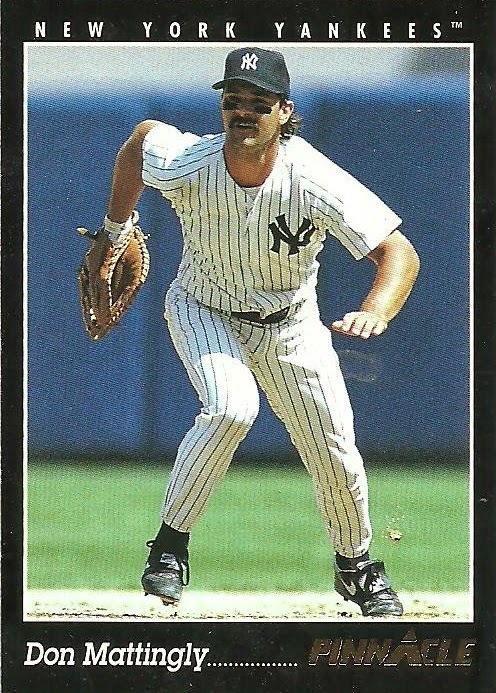 Nathaniel sent several Webb rookie cards, but this was my favorite! 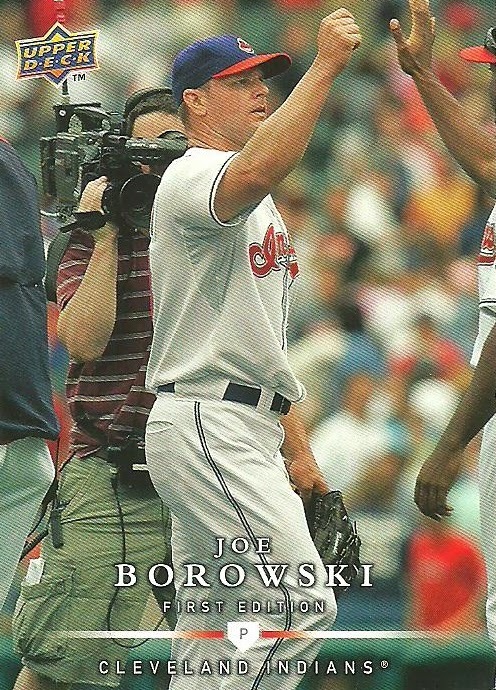 Not only is it a phenomenal card on its own, but I didn't already have it, so that makes it even better! 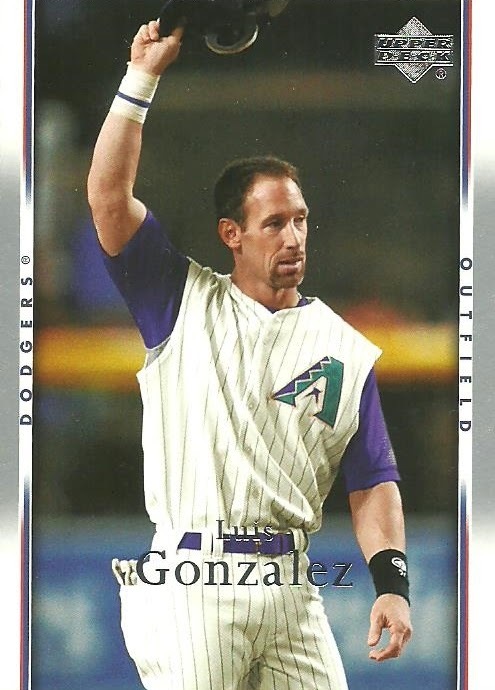 Here's a great card of Luis Gonzalez! There is just one thing wrong with it. On the left side of the card it says "DODGERS", luckily it's in small letters and the picture they used more than makes up for it! 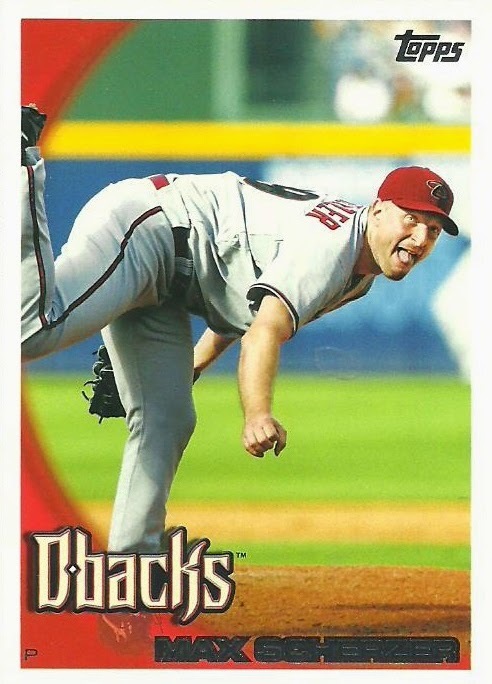 Nathaniel also sent over a great group of cards of current and former D-Backs in other uniforms. Here are just a couple. Nathaniel also sent over a bunch of great cards for my mini PC's. 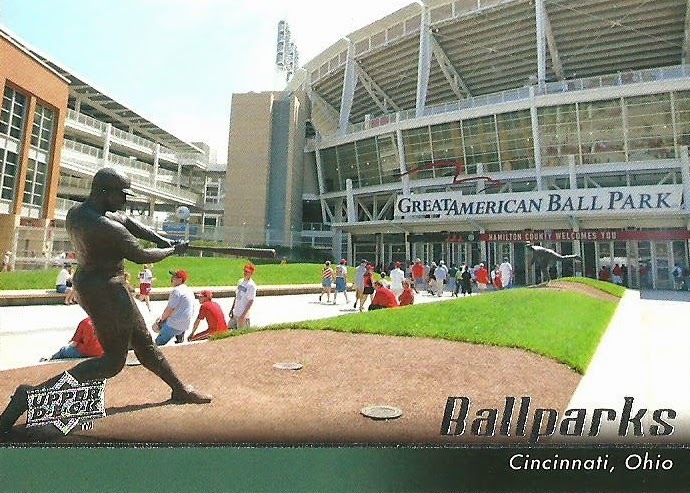 I love these 2010 Upper Deck Ballparks cards and Nathaniel really hooked me up! I'll have to see how many more I need. 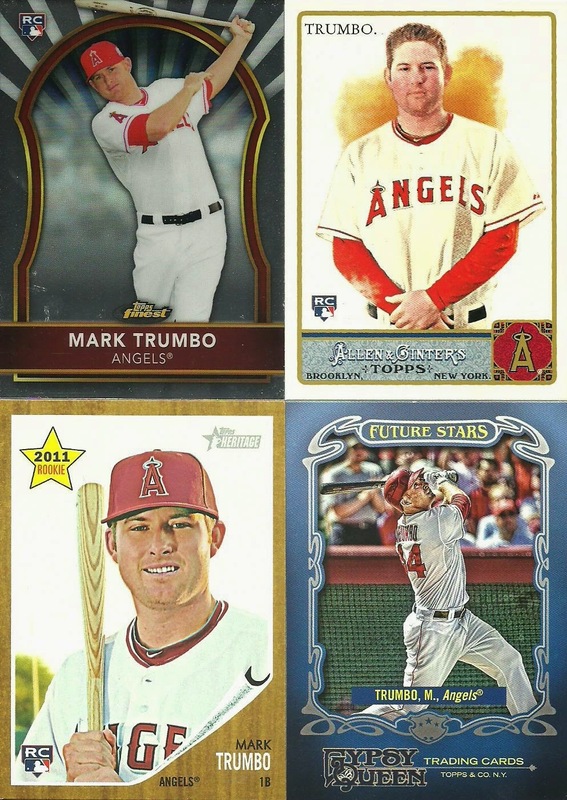 Here are some Trumbo cards that Nathaniel sent. 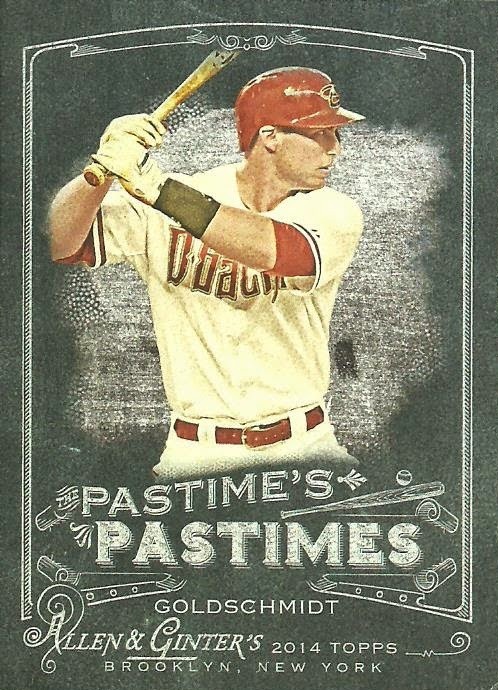 These rookie cards are great, but they pale in comparison to the next Trumbo card he sent! 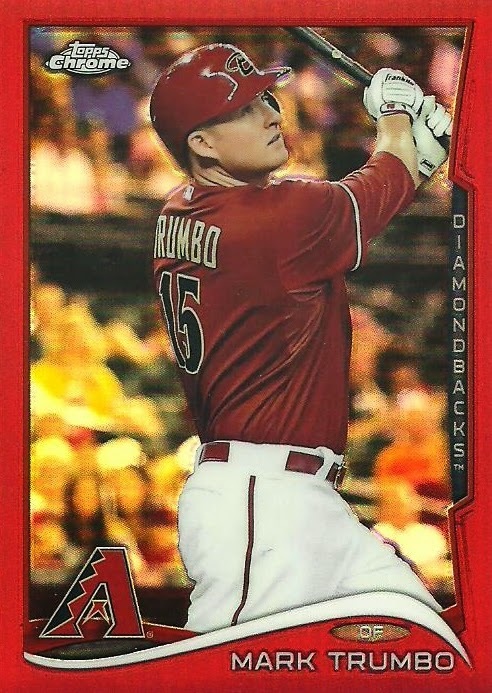 Here is a 2014 Topps Chrome Mark Trumbo Red Refractor numbered out of 25! 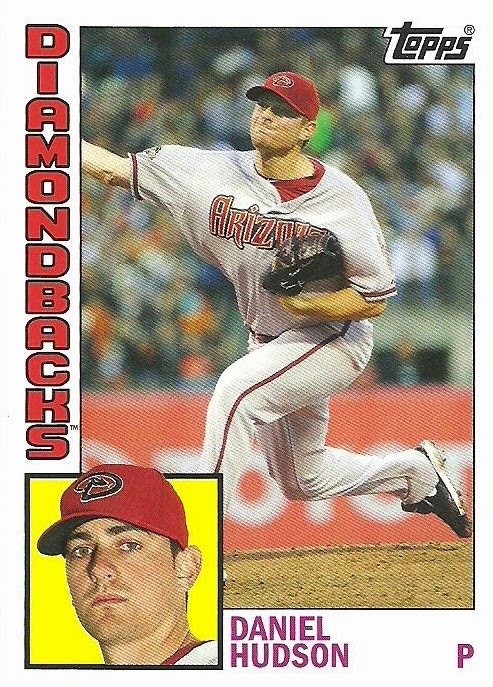 I absolutely love red bordered D-Backs cards! Add to it the fact that it's numbered out of 25 and it's practically perfect! 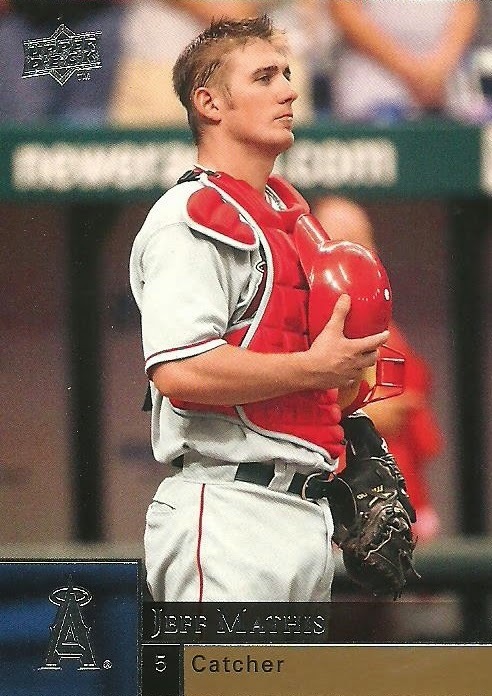 Here's another 2014 Topps Chrome card. 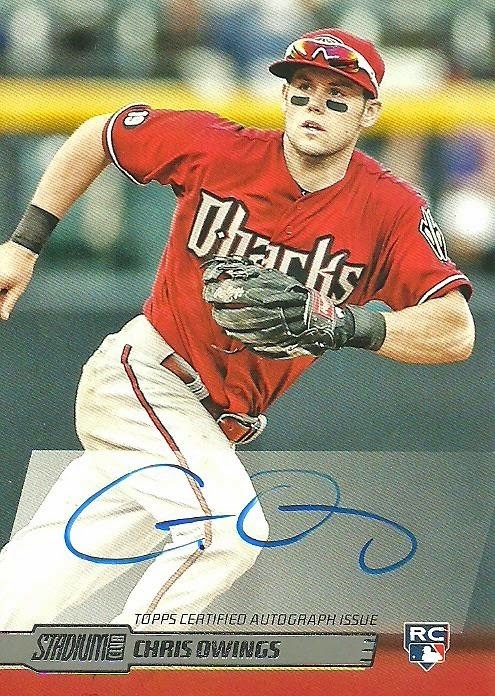 It's a Chris Owings autographed RC! 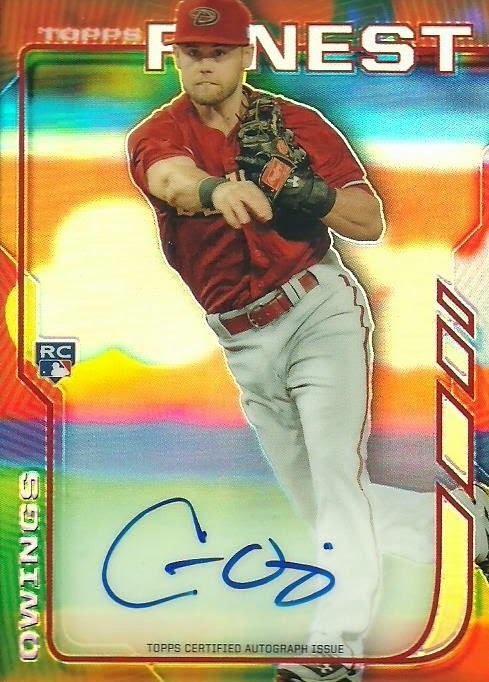 And as if one autographed Chris Owings rookie card wasn't enough, Nathaniel added a 2014 Topps Finest Chris Owings autographed RC! The autographs didn't stop there! 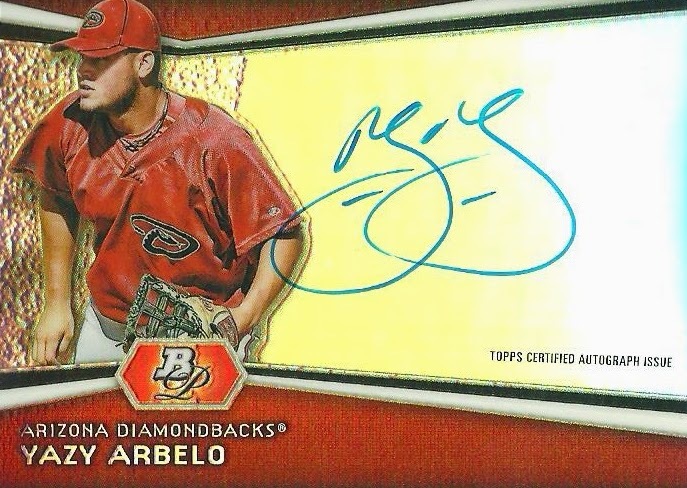 Nathaniel sent autographs of Archie Bradley, Daniel Hudson, and Yazy Arbelo! Thank you so much Nathaniel for everything! 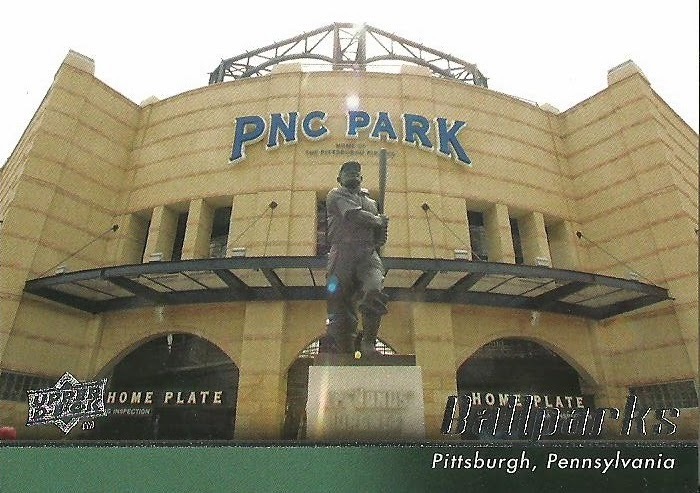 Today is National Bobblehead Day! 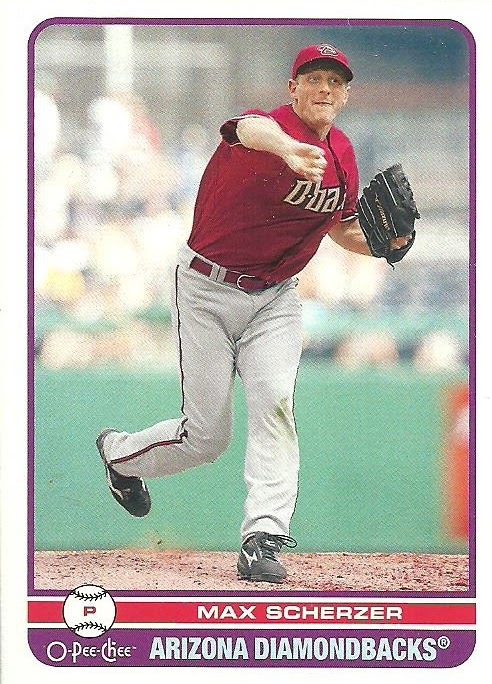 Randy Johnson is no longer "AWAITING THE CALL".